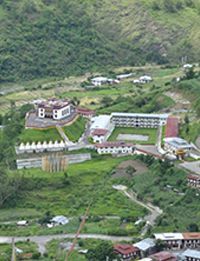 Rangjung Woesel Choeling Monastery traces its roots to the Gelong Gonpa which was established by Rinpoche and H.H. Dungse Thinley Norbu Rinpoche. Gelong Gompa is situated in a mountainous region which takes a day to reach it either on foot or on horseback. It has always been the aspiration of the Bhutanese to have Dudjom's family lead the dharma practice. After H.H. Dungse Thinley Norbu Rinpoche departed from Bhutan, the Bhutanese fervently requested Rinpoche to remain and turn the dharma wheel of Dudjom New Treasure Lineage in the monastery. Rinpoche, realizing the deep faith and genuine devotion of the Bhutanese, accepted the heavy responsibility to continue the dharma activities and welfare services for the Buddhist fraternity living in and around the monastery. During the time of the establishment of Rangjung Woesel Choeling Monastery, Rinpoche was still pursuing his studies in H.H. 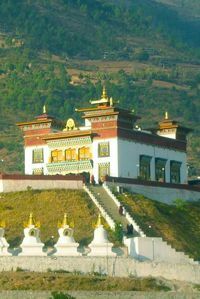 Penor Rinpoche's and Mindroling Monasteries in India. For four years, rinpoche spent all his winter holidays working incessantly, carrying out dharma activities for the monastery. At that time, there were only a handful of ordained monks and nuns in the monastery. Owing to the limited access to transportation in the monastery, a piece of strategic land was offered to Rinpoche. Nevertheless, due to financial constraints encountered at the initial stage, only bamboo huts were built and the monks and nuns survived on alms. A few years later in 1993, the number of nuns increased to the extent that a separate nunnery had to be established in Radhi, Pakaling which is a few kilometers away from the monk's monastery. Thereafter, Rinpoche has been exploring for sponsors from abroad. 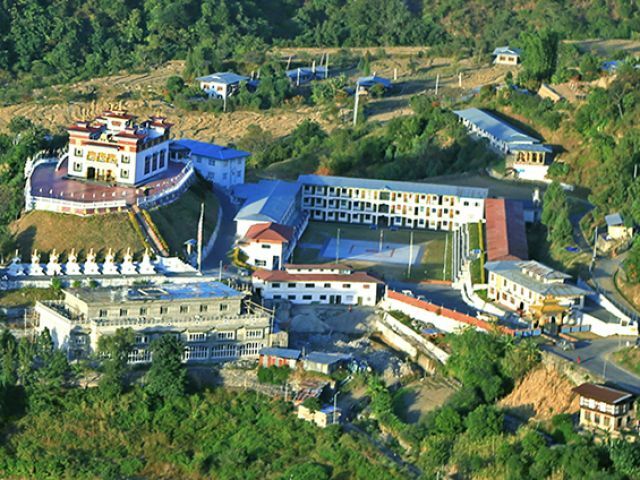 With the blessings of the Buddha and the kind assistance and contribution from donors and supporters, Rinpoche successfully constructed a larger monastery to cater to the needs of the monks and nuns. During the time of Dudjom Rinpoche the Second, the teachings of Dudjom New Treasure not only flourished in India, China and Tibet, but also spread widely in the West. Retreat centers were built in countries like France and the US. Especially in the remote areas of Bhutan, practitioners in the mountains had not heard of any other Buddhadharma but the teachings of Dudjom New Treasure. Such great influence of the Dudjom New Treasure teachings was naturally difficult to maintain after Dudjom Rinpoche’s passing parinirvana. Thus at the tender age of 19 Dungse Garab Rinpoche took up the heavy responsibility to revive the spread of Dudjom lineage.